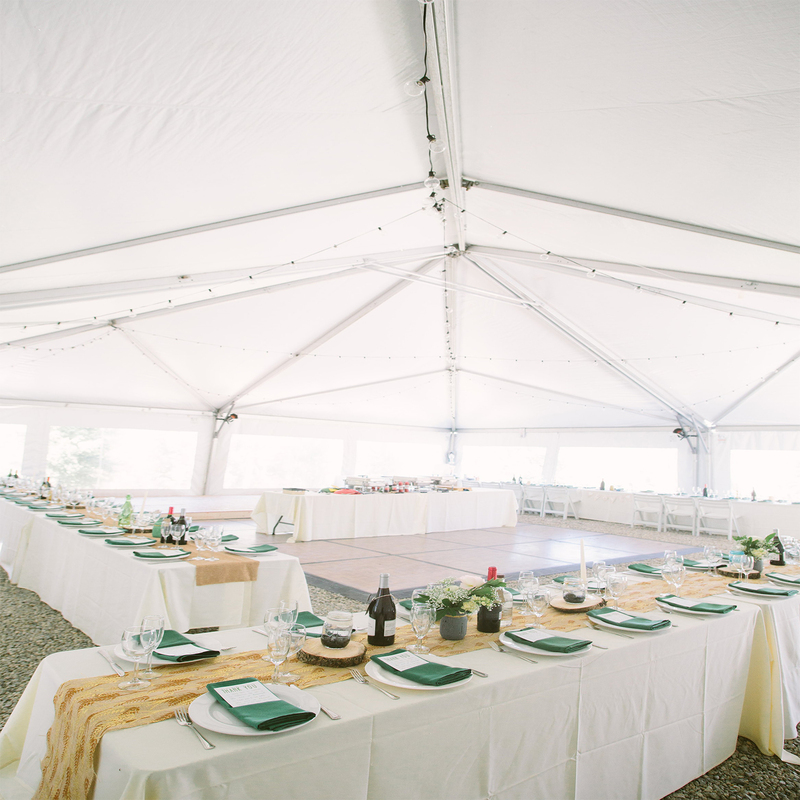 Tents & Events: They’ve got everything covered, from event planning and layout to custom linen design, this vendor has more to offer than their awesome tents! Locally owned and operated in Silverthorne, they offer budget friendly, creative services. Alpine Party Rentals: In addition to delivery and pickup assistance, Alpine Party’s services span tents, staging, lighting equipment, tables, chairs, custom linens, glassware, heating, dance floors and much more. Visit their page above to book a consultation or stop by their showroom in Gypsum. Kolton’s Katering: Tried and true, this vendor has always exceeded our expectations (for both quality, pricing and how much we can eat in one sitting). Offering much more than traditional catering services, Kolton will work with you to create custom menus using fresh, locally sourced food that’ll have your mouths watering. Ridge St. Kitchen: This power-couple, composed of chefs Kelly and Paul Brenholt, is known for serving up local favorites with their catering services and two restaurants, Ridge St. Kitchen and South Ridge Seafood. They offer delivery and custom menus. All Events & Catering: This vendor has thought of everything! Their staff will provide specialty linens, china, glassware and equipment along with their full service catering, private chefs and bartenders. Spa Day: Head to Refresh Spa and mention the Girlfriends’ Getaway for an extra 10% off for groups of five or more. Get treated to the Blushing Bride Package while your besties are pampered with the Bridesmaid Bliss. Enjoy some laughs and champagne while receiving services such as manicures, pedicures, massages, waxing, facials and body wraps. Why stop there? 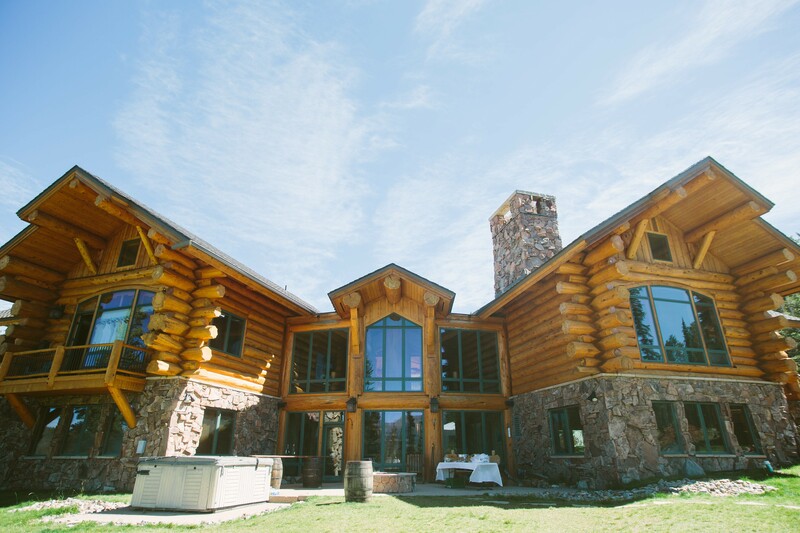 Relax in the indoor/outdoor pools and hot tubs, detox in the luxurious steam room and/or soak up some rays and gorgeous mountain views on the deck at the Grand Timber Lodge. Snowmobiling/Dogsledding: If you’re looking to get your adrenaline surging, Good Times Adventures is the place to go. Gather your gang, hop on a sled and saddle up for an unforgettable snowmobiling adventure. For an even bigger thrill, grab the reigns on an exhilarating dogsledding journey. That should get your blood pumping and warm up any cold feet you might’ve been having. Local’s Tip: Wes is their best guide, so we always request him ahead of time. Whitewater Rafting: If you’re here in the spring, summer or early fall, there’s no reason you should miss out on rafting and/or zip lining in the Rockies. Breckenridge Whitewater Rafting will take you and your friends on the ride of your life down the Arkansas River, Clear Creek, Colorado River, Blue River or Dolores River. Significant discounts can be had by booking ahead of time. Hot Springs: Only 90 minutes from Breck, Mount Princeton Hot Springs Resort is the ultimate in relaxation and fun. Celebrate your last single days sipping cocktails or hand-squeezed juices while lounging in creekside hot springs with stunning views. Indulge with your pals in a day full of fine dining, soaking in the springs, spa treatments, splashing down the 400’ waterslide, yoga classes, dipping in the ice plunge and lazy river floats. Call ahead to rent an adorable overnight cabin. Hike a 14er: Climbing a mountain with an elevation of 14,000’ or taller is quite the accomplishment. Since there are 53 of these peaks in Colorado, climbing 14ers is a popular and rewarding activity. The closest 14er to Breck is Quandary Peak, located a few minutes away in Blue River. Other nearby 14ers include Grays Peak and Torreys Peak, which you can knock out in one day if you start early. Make sure to research safety tips before going. Happy trails to you! Bar Crawl: Although a bit traditional for a bachelor party, Breckenridge’s nightlife won’t disappoint. Follow-up a ski day with some après action at Sevens or happy hour in town. Then, head to Main Street and pop by the Breckenridge Brewery before meandering over to the Tasting Room for free samplings. After that, venture down to Napper Tandy’s for fireside drinks and a game of Big Buck Hunter. Keep the fun going at the Blue Stag, where you can enjoy a Moscow Mule and play some Stump (Hammerschlagen) by the fire. As is custom when partying hard in Breck, wander to the south end of town, known for its shenanigans. Play pool at Brooklyn’s, dance the night away at Liquid Lounge and mow down at Above the Blue on your walk home. Drink lots of water and pop a multivitamin before bed. No one wants to be hungover at their own wedding. Well, friends, that’s a wrap! We’ve been honored to travel the bridal planning path with you and hope that your road ahead is full of love (and a flawless wedding). Don’t worry, you won’t have to miss us too much… We’ll return soon with more inside information about beautiful Breckenridge. Cheers! Florists: One of the most important elements of your wedding, floral arrangements set the theme for the celebration and can make or break your big day. We want to make sure you have a bouquet worth throwing, not a mismatched decaying bunch of dandelions and weeds. Bloom: Winner of the “Best of Summit” for many years, this local vendor knows how to complement any theme with bouquets so gorgeous, you’ll think twice about throwing them into the crowd. Petal & Bean: Mentioned in our Breck Wedding Part I for event planning, we can’t get enough of Petal & Bean’s floral services, too! Little Flower Shop: Located just a few minutes down the road in Dillon, the Little Flower Shop will make sure your big day is adorned with the perfect floral arrangements, so don’t be fooled by their name. Garden of Eden: With over 25 years’ experience, this florist is renowned in Summit County for “delivering smiles” and your custom wedding arrangements. That’s right- they’ll bring your buds to you. AND, they make wedding cakes, too. Photographers/Videographers: These are photos and videos that you will reflect on for probably the rest of your life. That being said, we have handpicked the top notch photographers and videographers to ensure that you’ll have shots worth watching for decades to come. Tripp Faye: At the top of our list for a reason, Tripp is one of our favorite photographers in the county. With years of experience and a keen eye for detail, your wedding photos will be nothing short of perfect and Tripp’s videography skills will ensure that every moment of your special day is flawlessly captured. Brandon Doza: Another local favorite, Brandon Doza has some big names gawking at his shots, including: Summit Wedding Photography, Copper Mountain, Grand Timber Lodge, Dew Tour Fashion Show, Global Lifestyle Media, Breckenridge Brewery and many more! Jason & Gina: Known for incorporating their love of the outdoors with the love you’re celebrating on your wedding day, this photography team’s work has been published in over 200 wedding magazines and blogs throughout the country. Matt and Jess: This married photographer team is located just outside of Red Rocks, but will travel to Breck for your big day. As newlyweds, they can relate to budgeting constraints and the importance of documenting your memories in just the right light. Forget Me Not Media: Having worked with big names like Nicolas Cage, John Cusack and producers of Lord of the Rings, this videographer will be sure to bring your story to life by blending cinematics with documentary-styled production. Rising Moon Films: Cinematographers with diverse talents, this team has experience in shooting weddings, commercial films, branded films and promotional production. Their videos are entertaining, stunning and personable. Don’t take my word for it, click on their link above and see for yourself! Wedding cake bakeries: The cake you choose for your wedding is often a status symbol to guests and sets the theme for your celebration. Plus, most couples save the top of the cake to eat on their one year anniversary, so quality matters. Not to mention, a party without cake is NOT a party at all… At least not one worth remembering! Sugar Breck: If the critiques on this bakery featured in Martha Stewart Weddings, The Denver Post, Breckenridge Magazine, People Magazine or Mile High Bride aren’t enough to get your mouth watering, treat yourself to a gander at their portfolio. YUM! Blue Moon Bakery featuring Reil Mountain Confections: Serving up delicious cakes of all sizes and flavors to satisfy everyone’s taste buds and budgets, Reil Mountain Confections offers custom cake design experiences that will leave you craving more. Mountain Flour: Based out of Vail and offering cake delivery, this bakery concocts works of art that you won’t believe are edible. With more than reasonable pricing options and flavors that are sure to please the crowd, this confectioner won’t disappoint. Accommodations: Since it’s highly unlikely that you and all of your guests live within walking distance from your venue, setting up lodging options ahead of time will not only help your guests, but it can keep the fun going for days! In an effort to bring you the #bestofbreck, we have listed the ultimate options in town so you can rest easy. Beaver Run Resort: With some of the most versatile lodging options in town, this resort features slopeside one and two bedroom condos, studios, traditional hotel rooms and specialty suites. While staying at the base of Peak 9, you can enjoy the convenience of walking to both town and the slopes. You’re guaranteed a good time at their on-site restaurant, the Coppertop Bar and Café- we recommend requesting Ash for your server because she is the best! DoubleTree by Hilton: Should you choose to book with DoubleTree, you’ll reap the benefits of its proximity to town and the lifts. The Quicksilver chairlift on Peak 9 as well as Main Street are both a quick jaunt away from your room. Plus, DoubleTree provides their guests with ski valet services and, more importantly, s’mores! River Mountain Lodge: The name says it all: RML is situated on the Blue River and offers some awesome mountain views. This accommodation is downtown, so don’t bother setting aside money for a taxi! Do yourself a favor and make sure to visit the legendary local bartender, Baba. Indulge in some of his rum pompei while you listen to his incredible (and true) stories! Well, there you have it! This is easier than you expected, right? Now, you’re more than halfway through planning the most vital aspects of your Breck wedding. Awesome job! There’s still some important topics left to tackle, so we’ve got to get back to work. While we compile the next round of planning topics, you just focus on enjoying your engagement. Make sure to check back soon for Part III! Congratulations! You’re recently engaged and about to plan the most important day of your life- no pressure or anything. Luckily, the staff at BOB has all of the details you’ll need for the ultimate Wedding Day. Why not celebrate it in the most beautiful mountain town in the Rockies? Breckenridge is internationally known for being one of the most gorgeous and exciting places to have your wedding. Your photos will be nothing short of stunning with the Tenmile Range as your backdrop, guests are sure to never forget this breathtaking celebration and the town of Breck definitely knows how to throw a party! So, let your engagement be a FUN time (as it should be) and reduce the stress of planning by reading our Breck Wedding Blog Series! Below, you will find the first installment of this blog series where we review the three most important categories in planning your wedding. Time to get started! Wedding Coordinators: NOONE should plan a wedding alone. Hiring a wedding coordinator in some capacity is well worth the peace of mind they will bring to your big day. If you don’t want to let someone else hold the reigns completely, there are partial planning and day-of services that will still reduce your stress, not your involvement. The Full Service Package offers ultimate service for a Bride who is busy and not able to stress the details herself. The Partial Wedding Planning Package for a Bridge who would like to plan a good amount of her wedding with guidance. The Destination Wedding Package is perfect for planning a year ahead for those who aren’t local to the area. The Day of Wedding Package for the Bride and Groom can enjoy their day, hassle free. Venues & Officiants: Let’s face it- location is everything, especially when it comes to your wedding celebration. You would think that with Breck as a backdrop that anywhere in town would be fine, but that’s not always the case. We’ve found you the best of the best. Most venues offer both ceremony and reception sites, but some sites are ceremony specific, so we have separated them appropriately. In case you’re into having your wedding officiated, we have listed some local options for folks from all walks of life. Get ready, it’s party time! 200 person capacity in the Chapel, Wedding $850, Rehearsal Dinner $200, Reception $500. 75-125 people (Patio on the Green= 125, Spencer’s Deck=75, Coppertop Patio=125, Building 4 Patio=75), $500 and up packages. Specialized in crafting custom weddings. Dresses to complement wedding party. Specializes in writing, creating and officiating wedding ceremonies. Vendor referrals for flowers, cake, photographers and more. 100 people, deck, $2500 venue package, Food and bev per person $125, mid-April through November. 175 people, deck, $1500-1800 venue package, Food and bev per person $100, mid-April through November. 150 people, $2500 venue package, Food and bev per person $85, mid-June through mid-Sept.
200 people, deck, $3500-4000 venue package, Food and bev per person $150, late May- early Oct.
140 people, patio, $1500 venue package, Food and bev per person $110, year round. 90 people, deck, $500-1500 venue package, Food and bev per person $125, year round. 250 people, $1500 venue package, Food and bev per person $110, year round. 220 people, deck, contact for venue packages. Capacity: Imperial Ballroom=150, Breckenridge Ballroom=400, Colorado Ballroom=500 – available year round, CopperTopII=120, CopperTopIII=130, The Tent=266- available May-October. Pricing: venue packages range from $6,600-$15,800. Entertainment for Reception: The entertainment can make or break your party. Ever been to a wedding that made you say,” WOW, I had a BLAST last night! What a FUN wedding? !” Well, you’re sure to feel the same way if any of the below entertainment options are involved in your shindig. Brett’s our favorite! Congrats, again! You are now prepared to tackle the three most important aspects of your big day. The staff at BOB will have the next round of wedding planning action items for you soon, so don’t forget to check back with us frequently!